The Scharzhofberg is a vineyard along the Saar, a tributary to the Mosel. The Saar meets the Mosel just south of Trier, in the town of Konz. It springs in France and then flows into Germany. It is a mere 246 km (152 miles) long, but only the final parts in the state of Rhineland-Palatinate are used for growing wine, mostly Riesling. The Saar is known to produce more mineralic, somewhat tarter Rieslings than the middle Mosel. The micro climate tends to be cooler than at the Mosel, so the grapes usually ripen later and can reach acidity levels without the higher sugar levels you can find on the Mosel, which gives them a distinct character. Most of the vineyards belonged to the church, but in the course of the secularization in the 19th century, many private investors bought plots and began wine making. Rich families began to settle later in the 19th century which led to the term “Saarbarone” (baronets of the Saar, a term derived from “Ruhrbarone” which was used for the industrialists in the Ruhr area that made a fortune when the industrial revolution took off). A lot of the estates on the Saar are very grandiose, unlike most Mosel estates. The Saar boasts many prime vineyards that you might have heard of: Kanzemer Altenberg, Ockfener Bockstein, Ayler Kupp and also, the most prominent among them, the Scharzhofberg. Technically belonging to the village of Wiltingen, the vineyard is so prominent that the wineries do not have to list the village name on their labels. They proudly just use “Scharzhofberger”. The vineyard stretches over 28 hectares (around 70 acres) in steep slopes (30 to 60 degrees) facing south, the soil consisting of slate and rocky soil with high amounts of iron and clay. Only Riesling is grown here by a few producers that read like the who is who: Egon Müller-Scharzhof, van Volxem, Reichsgraf von Kesselstatt, Bischöfliche Weingüter, Vereinigte Hospitien, Johannes Peters, Weingut Resch and also the winery that produced this wine: von Hövel. The wines from this vineyard are prized and it is easily the most famous vineyard of the Saar. 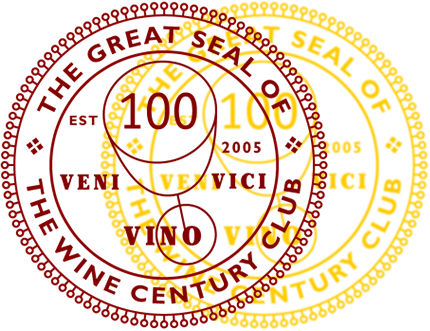 Weingut von Hövel has been owned by the von Hövel family since 1803 (just in time for secularization). It is a member of the prestigious German association of quality winemakers, VDP, and owns a total of 11 hectares (27 acres) in the Saar valley which are planted with Riesling only. Its annual production is around 60,000 bottles. Since 2010 Max von Kunow has been the owner of the estate. Besides holdings in the legendary Scharzhofberg, the winery exclusively owns the vineyards Kanzember Hörecker and Oberemmeler Hütte. But on to the wine: In the glass, we found a very pale, light yellow color. The nose showed floral and herbal aromas, with some overlying fruit (apple maybe?). But all in all it was a rather restrained nose, clean and focused. On the palate, the wine was light-bodied and luckily a typical Kabinett style sweet wine. When I say Kabinett style I mostly refer to its lightness and how refreshing and clear it was, despite it being a sweet wine. I just really like that combination of lightness and sweetness. However, I always struggle with describing these wines from vineyards that are especially dear to me. There was something that made me think it reflected the terroir quite well. I believe I would recognize a Scharzhofberger in a blind tasting (don’t dare me, though). I do believe the wine could have used a bit more acidity, but then again it was a 2011 where a lot of the grapes suffered from low acidity levels. The finish was very nice, with decent length. In my view, this is a very good wine for someone interested in trying a Scharzhofberger without breaking the bank and at the same time finding out what all the fuss is about the Kabinett wines. 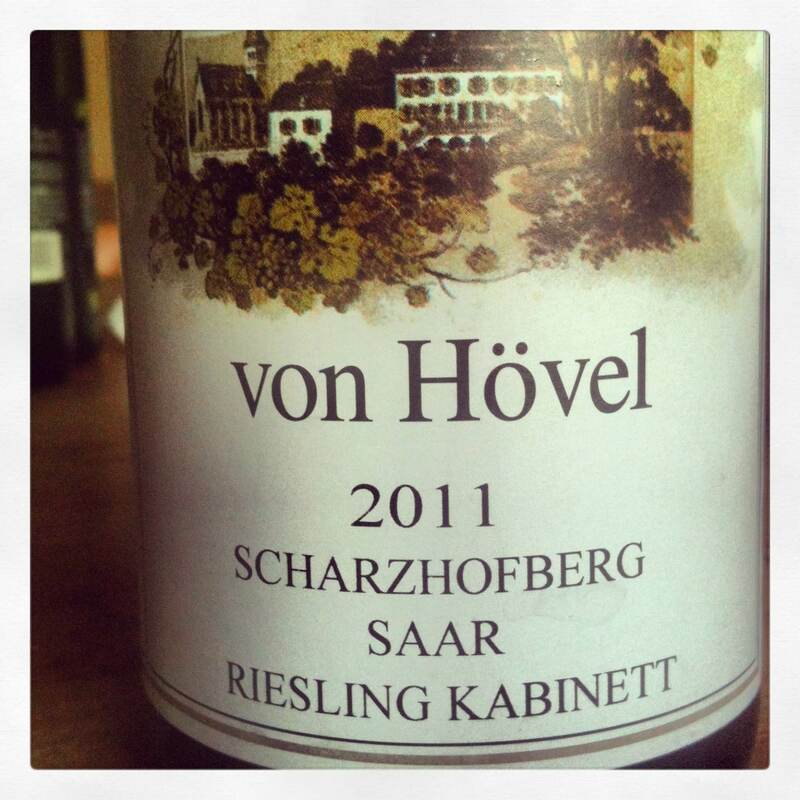 This von Hövel also showcased the 2011 vintage nicely, which is already where drinkable and accessible for the wine drinker. Wonderful, informing post and wine review, Oliver! Love your passion for your beloved Scharzhofberg! I’m now rying to source my self a (affordable) bottle or two in NZ.. I appreciate that this was more than just a review and gave a great education and history. Especially given the lack of knowledge we have of German wines in the US. Thank you so much! I always appreciate when I get background information on wines. And I think it is one of the most fascinating things behind the wines. The history of vineyards in Germany can be pretty fascinating.